1776: American Colonies of King George III. 2000: American Monarchy of King George II? History repeats itself? Will we allow the ascension of a King George III to the American throne in the 21st Century? Will we allow a Queen Hillary or a Queen Chelsea? Do we have a Bipartisan Civil Monarchy?
. . . is a nonpartisan think-tank dedicated to promoting government "of, by and for" all of the people of the United States through the spread of common sense ideas for political reform. The Overdue Voter Revolution pamphlet was my jumping off place in 1996 to attempt a personal evaluation of what was wrong with our two-party political system. Common Sense led me to the conclusion that absolute control of politics from the top-down by the DNC and RNC, a national political dictatorship, was the problem. I call that dictatorship the monopoly two-party system. My dream is to restore the promise of liberty and a democratic republic to our people through public awareness and widespread populist participation in elections. We need to rewrite civil law to make "public service" the only possible benefit that can be had from holding public office. I invite you to pursue the dream of self-government promised in the Declaration of Independence and made sustainable by the provisions of the U.S. Constitution. The only guarantee Freedom has is political participation by our underrepresented natural citizens. We are the 99.999%. Occupy elections. Elect populist 99.999% candidates. Occupy Congress and all fifty State Legislatures. Includes the "Pamphlet," "Pledge," "Declaration," "THRO," and "IVA." The original purpose of this bottom-up think tank in 1997 was to introduce needed common sense ideas into our political process. The "free preview overdue voter revolution pamphlet" contains a few good ideas that support the pledge below. We need to increase voter turnout to over 65%, because we need new political leaders free of bipartisan establishment control. The pledge and good ideas alone cannot establish a new political reality that honors liberty and justice for all in a more democratic republic. The pledge and pamphlet make us aware of "something wrong here" in our politics. After recognition of a problem, solutions become possible. Share this pledge. I, ________________Please Print________________ , the undersigned citizen of the United States of America, pledge with my fellow citizens to legally register and vote in all local, state, and national elections for the rest of my life. I consider the bipartisan power struggle between Democrats (DNC) and Republicans (RNC) a threat to the freedoms gained by the Declaration of Independence and later defined in the Bill of Rights under the Constitution of the United States of America. Special interest money donations to the DNC & RNC two-party monopoly rob our citizens of equal political representation within legislative bodies and executive branches at all levels of government. I must withdraw wholehearted support from all Democratic Party and Republican Party establishment candidates. I pledge to help elect qualified populist nonpartisan and minor party candidates to every local, state and national public office in order to provide equal representation under the law to all living natural citizens. We will Fire establishment bipartisan incumbents. Occupy Elections and Congress. My legal residence, Address ________________________________________________ , City _________________________ , State ______________________ , qualifies me to vote in precinct # _______________ , in __________________________ (City, Village, or Township) in the State of ____________________________ . My pledge signed this __________ day of ______________________ , _____________ , at (City) _____________________ , (State) _____________________ . Share this pledge: We need new political leaders free of party control. We need to circulate ballot access petitions to put more populist nonpartisan and minor party candidates on every ballot. Be proactive as a ballot access petition circulator and voter. Join other voters who sign the pledge. Give journalists and your representatives a hard copy or eFile of your signed pledge. We will vote incumbents out of office and elect new people who represent natural persons, not political parties or powerful special interests. We can have liberty and justice for all. Common Sense II is a name reverently borrowed from Thomas Paine, who published the original Common Sense pamphlet in January 1776. He came to the colonies less than two years before Thomas Jefferson wrote the Declaration of Independence. His Common Sense pamphlet played a large part in convincing the colonists of a need to separate from the British Crown. In our time, voters need common sense to separate from the corrupt D and R Political Parties to end corrupt financial control of our elections, of our governments, and of all our public policy decisions. Elect populist candidates. We are the 99.999%. Occupy Elections. Occupy our dysfunctional Congress. Change is up to everyone. Together. Thomas Paine believed in the "natural rights" of man, and was a professed "atheist." He may have been influenced in his religious beliefs by a need to rebel against kings and churches who claim to "rule by divine right." I believe he is the father of our political way of life. He is one man who made the "bill of rights" palatable to the society of his time. I owe him my freedom of religion and of speech. He is my all-time favorite revolutionary hero. Thomas Jefferson and Benjamin Franklin were not "atheists." However, they were proud to be deists. As deists, they believed in "God," but rejected revelation and the supernatural doctrines of Christianity. We also owe them for favoring the separation of Church and State. Many of the colonists fled Europe to escape various tyrannical State Churches, religious persecution, and rule under their self-ordained religious truths. A Republic ruled by civil law, not by a moralistic tyranny of divine inspiration or authority, is our founders' greatest gift to humankind. The freedom of every citizen to determine his/her own philosophical, religious Truth is the greatest gift of our founding fathers to our citizens. The creativity allowed by our melting pot of intellectual and spiritual freedom has produced abundant invention and great wealth for our democratic republic. I am a lifelong populist nonpartisan voter and populist political activist who was an active Reform Party leader. I was a delegate to the 1997, 1998, 1999, and "Real" 2000 Reform Party conventions. In 2000 at Long Beach, CA, John Hagelin/Nat Goldhaber were nominated as presidential candidates. I was also a delegate to the 2000 Natural Law Party/Reform Party Coalition Convention in Washington DC where John Hagelin/Nat Goldhaber were confirmed as coalition candidates for both parties. The national Reform Party Presidential campaign funds, $12.5 million dollars, were stolen in court through the misdeeds of Pat Buchanan and some top leaders in the Republican controlled Reform Party. Many Reform Party members lost their party, myself included. Pat Buchanan, a Republican double agent, radicalized and split my Ohio Reform Party. I was elected to the Central Committee of the Reform Party of Ohio from Congressional District One in 1998. I served on the Central committee from 1998 to 2000. By 2000 the party was divided in half by conflicts over social issues. I chose to leave the extremist Ohio Reform Party after 2000. There was no place for a centrist there. Public service: I was on the ballot for Ohio District One Representative to the U.S. Congress on November 7, 2000 as a Natural Law Party candidate. I did not get enough signatures to get on the ballot in 2002, 2004, 2006 and 2008 as a nonpartisan populist. The Republican incumbent and a Democrat were the only candidates on the OH One ballot in those four Election Years. The bipartisan monopoly won all four years. I was on the OH1 ballot in 2004 and 2008 as a Write-In, but not in 2006. The 2006 write-in deadline was changed by OH HB3, effective late in the year, June 1, 2006. The bipartisan monopoly tricked nonpartisan candidates and my campaign again. My 2008 OH1 campaign played a minor role in defeating the seven term Career Republican Incumbent. All of my speeches and debate appearances talked of the need to defeat Career Incumbent public office holders. 2010: My 2010 campaign for Congress OH 1 was begun in December 2008 with updated web pages and campaign materials. Election day was November 02, 2010. Web pages: Citizens for Stevenson. My name appeared on all OH 1 Congressional General Election ballots as the endorsed Green Party candidate in November 2010. We nonpartisans were on the ballot in 2010. Again, at last. With very little money to campaign, we got nearly 2,000 votes anyway. Libertarian, Jim Berns, got nearly 3,000 votes on very little money also. Rich campaigned with the same nonpartisan values and issues. When elected, he will be a populist statesman lobbying for the nonpartisan individual interests of all citizens. Rich's 2010 Green Party candidate ballot access petition was completed and submitted on February 17, 2010 with more than the 25 required valid petition signatures needed for minor party Congressional candidates. The Green Party had Ohio ballot access for the first time in history. Voters were able to request a Green Party ballot at the May 4, 2010 Primary Election. Thank you for your Green Party primary votes. Thanks to everyone for your November General Election vote for Stevenson. 2012: The 2012 THRO pages http://cs2pr.us/THRO were published on February 14, 2011 to announce Rich's intention to be on the ballot on November 06, 2012. Congress OH1 campaign web pages were also updated to the new election year. Rich was on the November ballot for Congress OH1 in 2012. Stay tuned, http://cs2pr.us/Rich. More updates soon. "Waste" your vote on "Rich." Nonpartisan populist voters could have won in November 2012. Stevenson got over 6,000 votes and Jim Berns got over 9,000 votes in 2012, over three times the number of votes in 2010. Again with very little money spent. A nonpartisan will win the OH 1 Congressional seat in the very near future. I am sure of it. 2014: Moved to Louisville, Kentucky, my birthplace, in 2013. I will be 72 years of age in January 2014. I could not legally be a candidate for 2014. I am looking for a very good candidate to win the next OH1 election in 2014. I will be available as a campaign manager for a very good candidate. 2016 and 2018: Did not get the 400 valid petition signatures needed to get on the KY 03 ballot for Congress. Only had a few hundred each year. See 2020. Will try again. 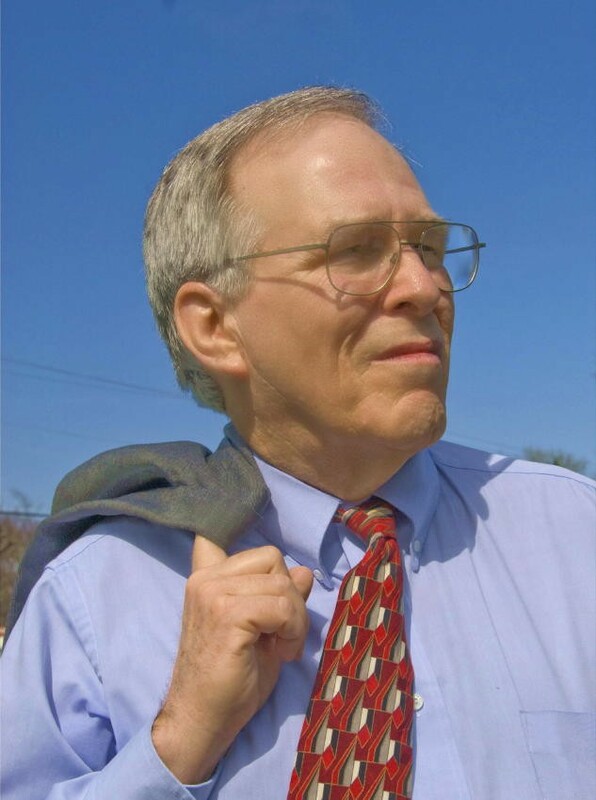 2020 I have published campaign pages http://cs2pr.us/Rich and the 2020 THRO pages http://cs2pr.us/THRO to be on the ballot in 2020 for U.S. Congress in Kentucky District 03, Jefferson County (Louisville), KY. I will explore for supporters of my campaign. I will be 78 years of age in January 2020. I know how to run a campaign now and have a reasonable chance to do well or even win the election. I will use the campaign to work toward the ratification of an "Equal Political Speech" amendment to the U.S. Constitution. http://cs2pr.us/Equal_Political_Speech.html. I will represent the 99.999%. When elected I will help occupy Congress for the 99.999%. Election of the President: I supported Ralph Nader in 2000, 2004 and 2008, as the only cohesive populist nonpartisan voice in the Presidential elections. His message, vastly unheard, was one of unity of the nonpartisan populist masses. I have been an Ohio Green Party member and Central Committee participant since 2002. Nonpartisan for over fifty years! I supported Jill Stein, Green Party, for President in 2012. I supported Jill Stein, Bernie Sanders, and Elizabeth Warren for President in 2016. With Hillary Clinton on the ballot, I voted for Jill Stein, Green Party, for President. 2020 is still unknown. President Barack Obama may or may not have made any noticeable positive change during his years served as President. I stand ready to applaud any success he or Donald Trump may have in solving our nation's problems. I will not support a "D" or an "R" for election to be President of the U.S. We need to elect a populist nonpartisan President. Our populist majority, centrist, left and right, can elect a populist President to represent the 99.999%! Open Presidential Debates: I am personally committed to vote for any qualified nonpartisan or minor party candidate I find on my ballot. Presidential debates with Ralph Nader, and other ballot qualified candidates in every Presidential debate in 2004, 2008, 2012 and 2016, would have given voters a realistic discussion of the real issues, and a means to consider a vote for one of several less well known ballot qualified candidates. With open debates in 2020 we could have a competitive election between more than two candidates. We could elect a person of greater integrity, someone like Ralph Nader, to become our nonpartisan President in a past or a future election year! Some populist candidate not influenced (bought) by special interests! We had another chance in 2016. And we will again in 2020. We can do it. Instant Runoff Voting: Everyone could have voted for their first choice if Instant Runoff Voting (IRV) had been used in the year 1980, 1992, 2000, 2004, 2008, 2012 and 2016 elections. With IRV there would be no "spoiler" candidate. The winner always gets a "majority" of votes cast in the final instant runoff. We all would have been able to cast a preferential vote on every candidate in the election to elect the new President. In the IRV system, all of your votes (yes, that is plural) would have meaning. Unfortunately, we all had just one vote for President in the uncertain elections of 2000, 2004, 2008, 2012 and 2016. The two monopoly parties won. We lost every time, every election. I am very disappointed that King George II and Barack Obama were "selected" to the Presidency, twice. I oppose monarchy and hereditary rule in our democratic republic. The Presidency was purchased like dollar store trinkets. Sadly, the same statement would apply if Gore, Kerry or Clinton had become President. The upcoming Donald Trump term as President deserves the same statement. A partisan Supreme Court broke the line of Presidential succession in 2000 for the first time in U.S. history. The system remains broken at this point in our history. Historically, our elections have always been fixed by corrupt "legal" bribes and gerrymandering. The re-selection of Bush was beyond rational contemplation. It seems to me that Bush would not have been "selected" President in 2000 if his brother had not been Governor of Florida. The coincidence is too great to avoid intense historical inquiry. More bipartisan election tampering took place in 2004, with Ohio becoming 2004's Florida. The "selection" seemed to be fixed by the Republican Ohio Secretary of State, Ken Blackwell, who was also George Bush's Ohio Campaign Manager. That was a huge conflict of interest that should have precluded him from involvement in the Bush campaign. Nonpartisan Elections: Fixing elections threatens to be an increasingly blatant bipartisan habit. Polarization grows. Support of extreme values divided voters to help select Bush, in a very hate-based values war. Each half of the electorate has been taught to disrespect the deeply held values of the other half. The negatives muddy a steep slope slipping slowly toward eventual intolerance, confrontation, and violence. Free speech and tolerance are being challenged to a duel. Bush policy and the religious right nudged our republic slowly toward the possibility of a religious Civil War. We still look more and more like Northern Ireland and warring ethnic factions in divided Yugoslavia. We must get back to reason and law to stabilize our political process. To gain representation for the populist citizen super majority we must reject the election of Democrats and Republicans. Both parties are destructively bipartisan, as seen in the legal battle over the Presidency in Florida and Ohio. Both parties are a part of the over 200-year-old entrenched monopoly two-party system. Some would correctly say "dictatorship." Both parties rob our citizens of access and representation within legislative bodies and executive branches of government throughout the United States. Nonpartisan populists like you and me need to control our democratic republic to reform our election system. We must do more than just vote. We must proactively elect nonpartisan populist candidates to public office. We are the 99.999%. We must occupy elections. Our Winning Demographics: About 85% of registered voters are nonpartisan, including the usual 1-5% total minor party vote — as in OH District One. Jesse Ventura, Independence Party (Reform Party), Governor of MN, won his office as mayor (75% of the vote) and his office as MN governor in 1998 by attracting more registered and unregistered voters to the polls. Jesse won the Governor's election with 37% of the vote. The 65% voter turnout was 20% higher than any other election in the country in 1998. Forty-one percent (41%) of Jesse Ventura's votes were from new voters, registered on Election Day. Populist nonpartisans are at least 74% of 115,000,000 registered voters nationwide. In addition, another 100,000,000 age eligible populist nonpartisans are not registered to vote. Altogether, there are roughly 175,000,000 (77%) populist nonpartisans who are age-eligible and could elect nonpartisan and minor party candidates in every election. That leaves roughly 40,000,000 (23%) age-eligible bipartisan "majority party likely voters" that provides the voter turnout that wins 99% of all elections by a narrow plurality of age-eligible voters. Obviously nonpartisan votes could win every election if 65% of eligible voters, or more, voted in every election. Jesse was a great candidate who was impressive in all five 1998 MN Gubernatorial debates. Good nonpartisan and minor party populist candidates are likely to win any election with a 65% or more voter turnout. Most elections have a turnout of far below 50% of registered voters (115,000,000 U.S. total) and 0% of unregistered age-eligible voters (100,000,000 U.S. total). Participation in elections by over 65% of age-eligible voters can elect new nonpartisan leaders 100% of the time in every election. We can fire D and R career incumbents. The second problem is highly restrictive ballot access laws that exist at some level in all fifty states. To easily elect nonpartisan leaders, we can increase voter turnout and voter registration. Everyone can learn to circulate ballot access petitions, to become politically proactive. Moreover, we can find reasonably good nonpartisan and minor party candidates to stand for the numerous public offices we need to win. Our ballot access petitions can put more populist candidates on every ballot. There are no major parties in our republic. We have two minor-sized monopoly parties. The two monopoly parties are bullies with bragging rights. Each voter can fire the bullies. Each voter can have real friends in high places. Those friends are populist nonpartisan or minor party candidates from our communities. Elect those people-friendly candidates to have a voice in your governments — local, state and national. Be a proactive citizen in your voting precinct. We are the 99.999%. Occupy Elections. Elect 99.999% candidates. Solutions to many of our persistent problems can be accomplished by scaling down big money corruption in our election process. To move toward representative government we must eliminate soft money and PAC money from all election campaigns. We can have a more democratic republic. Nonpartisan Election Strategy: We can elect independent and minor party populist candidates, 44 in the U.S. House and 10 in the U.S. Senate = 10%, to end bipartisan majority control of Congress. Bipartisan warfare to get majority control of the U.S. House and the U.S. Senate would end immediately. Without a legislative majority, career incumbent Democrats and Republicans would have to work with our newly elected populist Congresspersons to find consensus solutions to our long term national problems in the light of day. Real solutions have been blocked for decades by the corrupt special interest influence of money on all Congressional legislation. Legislation bought by special interest lobbyists is a prominent long term feature of the corrupt Career Incumbent Washington Culture maintained by the bipartisan two-party system. Bipartisan incumbent crimes have been well hidden from public view for many decades. Use the power of your one vote to fire career D and R incumbents. Yes we can. We Are The 99.999%. Occupy elections. Elect 99.999% populist candidates. With your participation, our nonpartisan populist SUPER MAJORITY can show the world. We can elect public servants we choose who will represent the economic interests shared by 99.999% of our citizens. Nonpartisan elections! To preserve freedom and our democratic republic we must elect new people to public office to replace bipartisan incumbents owned by the 0.001 of 1.0% billionaire class, as often as possible, with as many newly elected private citizens as possible. Nonpartisan government! Free Political Tools ~ Your Voice? Campaign Template: Can you be a Candidate? If not you, who? If not now, when? When elected, Rich will work night and day for a more democratic republic. Elect "RICH." You win. We all win. Rich will be on your ballot for KY District 03 Representative to the U.S. Congress on November 03, 2020. You must be proactive in nonpartisan election campaigns to have your nonpartisan voice heard in the U.S. Congress. We are the 99.999%. We can Occupy Elections. Occupy Congress. Main Street - not Wall Street billionaires. You have a nonpartisan choice and a good reason to vote. I pledge to be self term-limited to two terms — four years. I will vote for your interests, our common good.